Snaps, no. 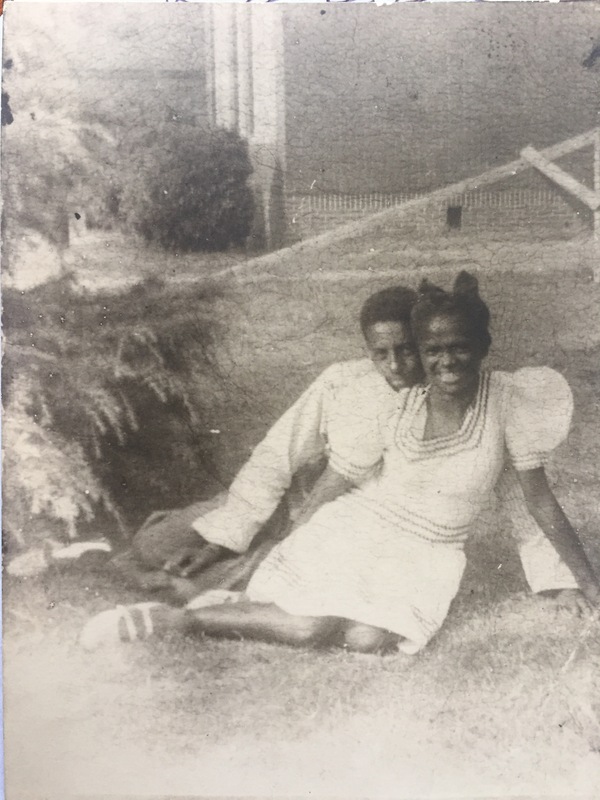 26: Lucian Henderson and Mary Etta McCoy. This photograph taken on the lawn of Darden High School likely dates to about 1943. Lucian Jacob Henderson (1926-2003) and Mary Etta McCoy (1927-1989) married in Philadelphia, Pennsylvania, circa 1948. Photograph from the collection of Hattie Henderson Ricks, now in possession of Lisa Y. Henderson. Lisa, who looks just like Lucian? (1) Daddy (2) Lucian Jr. (3) Chris (4) Kyle (5) Shawn (6) Farid etc., LOL. Thank you! My uncle and aunt.